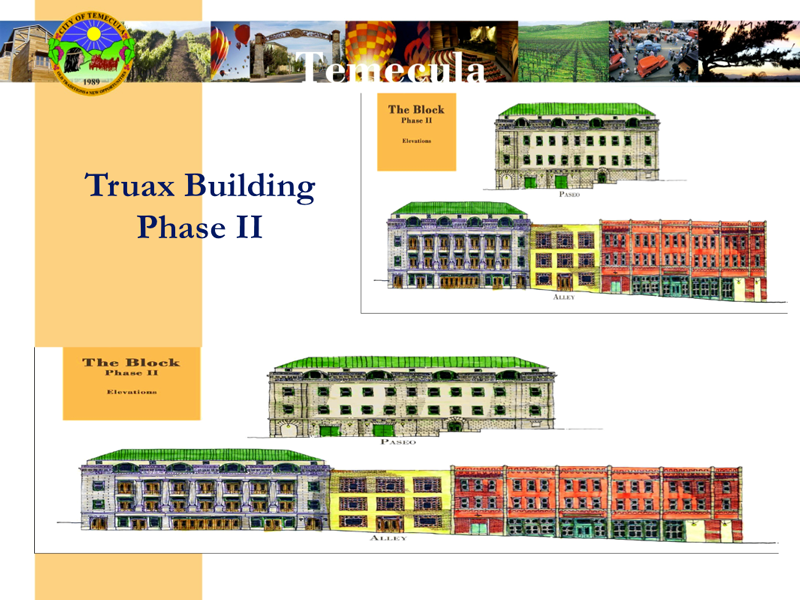 Developer (Truax Development) has secured preliminary City approvals for the Phase II Project and has Options on the land. City of Temecula has committed $36 million for parking structures($18 million for Truax II assuming 50% is used by Project tenants and customers) : $24 million for the already built structure on Mercedes Street and $12 million for a planned 500-space structure on Second Street. Developer is in process of securing $5 million in additional equity. Groundbreaking scheduled for January 2015.